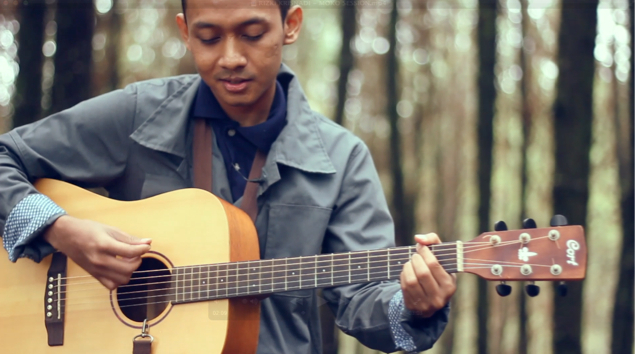 Rizki Krisnadi Moko Acoustic Session is a live music performance video project I did for a good friend and fellow bedroom musician Rizki Krisnadi. Known for his heartfelt songs on the indie pop acoustic duo Her Gentlemen, Rizki is now taking a different path on music as a solo singer and song writer. He then asked me to capture some of his songs in a video as a memorabilia of his works and i agreed. So we plan our concept and found a perfect place to shoot the video. 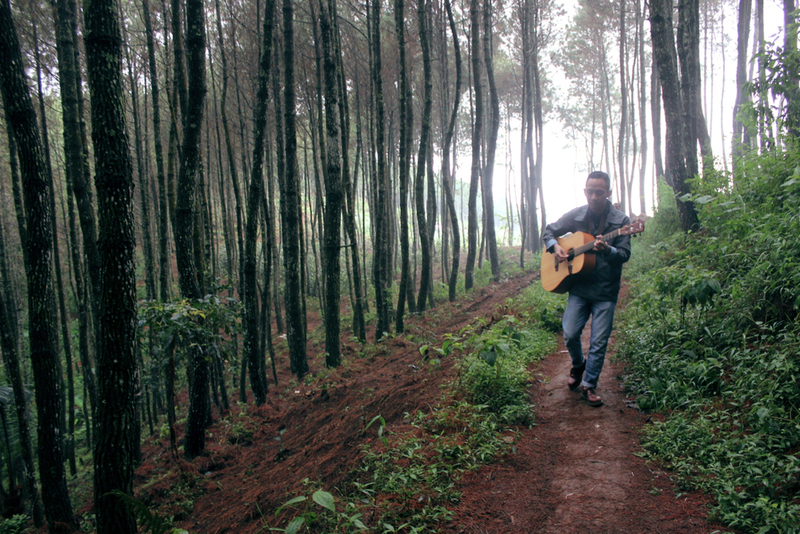 The live performance takes place at what's known as Bukit Moko in Bandung. 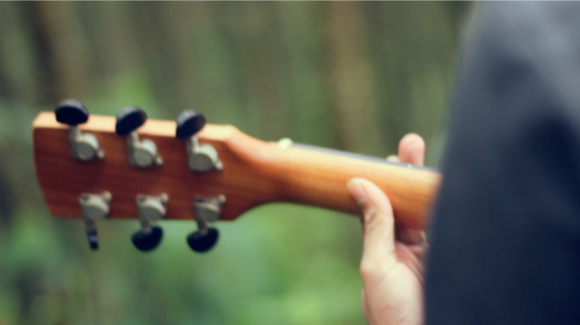 We shot two songs titled "Atonement" and "Viva Past" that fits the aura of the foggy pine forest that surrounds the place. The visually enchanting view this location provides gives an extra feeling to the songs that's already filled with emotions from past experience. Equipment used was Sennheiser EW 112-p G3 (ME2 clip-on wireless) + Zoom H4N for the sound recording and Canon 550D with Canon lenses for the video. The location itself is splendid for shooting and the mist is definitely a plus if you're shooting horror scene or just doing some ambiance-post rock-esque band photoshoot. Be aware that the place is also used for dirt bike adventure tracks, so if you are shooting that involves live sound recording, it would be wise to plan shooting early because they start in the afternoon and their exhaust is very loud. Shooting the video accompanied by a couple of great friends; two of the great Bandung artist Yusuf Ismail (Ucup Fluxcup) and Muhammad Akbar (Akbar Killafternoon) and a dear friend who is also a bedroom musician who i often made video for Meizal Rossi (Mejal). Gives us a chance to mess around after shooting Rizki's video and ended up making a side video of Meizal singing his songs featuring Ucup rapping needlessly in the background. 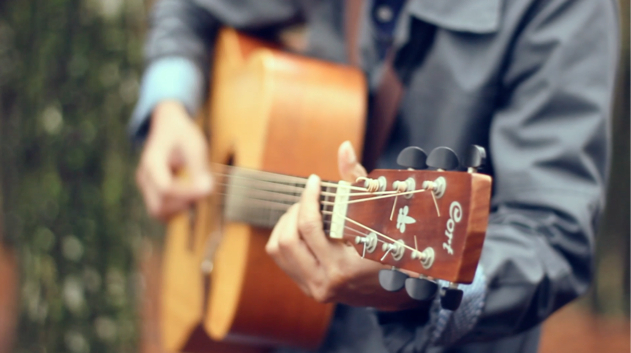 Held at La Cucina kemang, Moko Acoustic Session opens with Meizal Rossi's music performance playing some cover and his original songs and then after that the video Screens in front of close high school Friends and workmates. And finally, Rizki performs his songs to close the intimate afternoon.